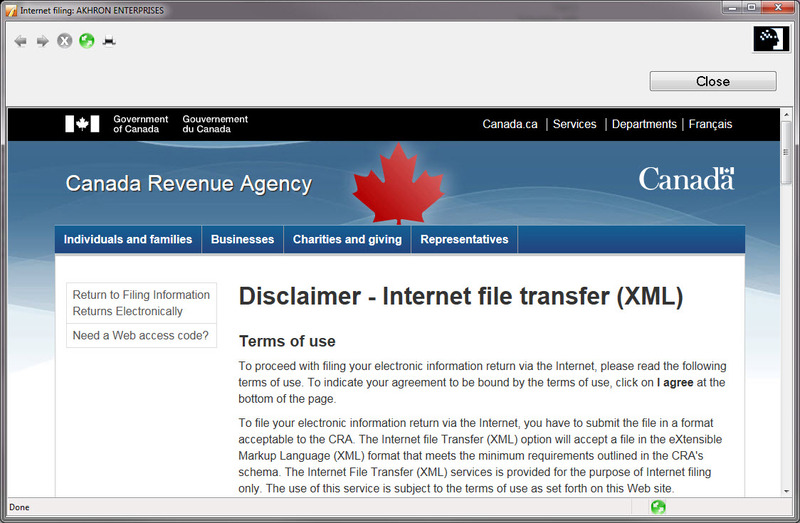 Note: Ensure that you print the transmission confirmation from the CRA page at the end of the process. ProFile does not keep a record/report of slips that have been transmitted. 1. Open the FX return in ProFile. 2. Navigate to the information ("Info") form of the return. 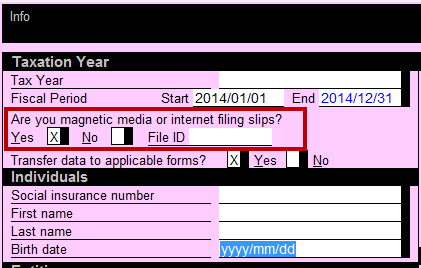 Note: the option to Internet file slips will not appear unless this option is set to "yes". 4. Select the "Properties" option from the "File" drop-down menu in the top toolbar. 11. Enter the "Account number" and "Web access code"; click the "Next" button. 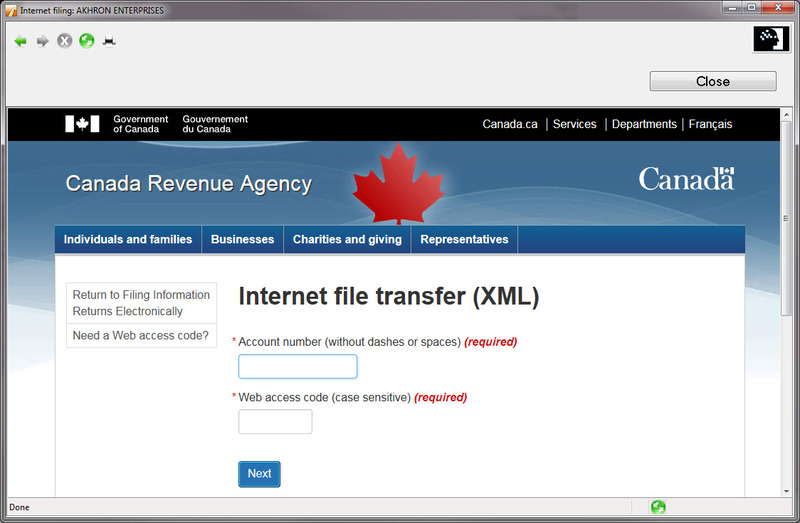 The XML file transmits to CRA. 3. Make the necessary amendments to the slip. 5. 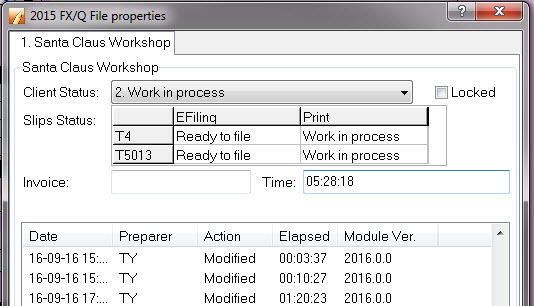 Select the "Properties" option from the "File" drop-down menu in the top toolbar. 9. Set the value in the "Data Type" drop-down menu to "Amended". 12. Enter the "Account number" and "Web access code"; click the "Next" button. XML files are stored in the same default location where FX files are stored. 1. Select "Environment..." from the "Options" drop-down menu in the top toolbar. The "Environment Options" window displays. 2,. Click the "File" tab. 1. 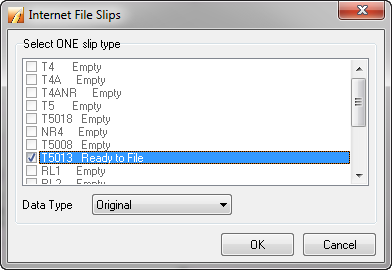 Select "Options...from the "EFILE" drop-down menu in the top toolbar. The "Electronic Filing Options" window displays. 2. Select the "T3/FX" option from the left-side menu. 3. Click the "Browse" button and navigate to the new location for XML file storage. The new location is saved.